Effective May 2, 2018, Ontario had 17 new justices of the peace. Sapna Butany-Goyal has been working as an assistant Crown attorney in Halton Region since 2017. She has also served as a senior staff lawyer at Legal Aid Ontario, and as vice-chair of the Halton Human Services Justice Coordinating Committee. Justice of the peace Butany-Goyal has a masters of law from Osgoode Hall. She will preside in Brampton. Kyle William Cachagee has worked with the Ontario Ministry of Natural Resources for over 25 years, most recently, holding the position of staff sergeant with the enforcement branch. As part of his duties, he regularly meets with Indigenous communities to develop a restorative justice framework. Justice of the peace Cachagee will preside in Sault Ste. Marie. Tanya Simone Chin has been a part of the Ministry of Community Safety and Correctional Services since 2013. Her most recent position was as executive assistant in the private security and investigative services branch where she provided support and recommendations to the director/registrar on operational, administrative and financial matters. Before joining the Ministry, she was a paralegal in a criminal law office for 10 years. Justice of the peace Chin will preside in Toronto. Stéphanie Goffin-Boyd is a family and child protection lawyer who founded the firm Addison Goffin-Boyd Law in 2014. She has also served as a personal rights panel member at the Office of the Children’s Lawyer and worked as a duty counsel and legal panel member at Legal Aid Ontario (LAO), dealing with family law and child protection matters. Justice of the peace Goffin-Boyd will preside in Ottawa. Kevin James Alexander Hunter is criminal defence lawyer who has been a sole practitioner and a member of a large firm. Before passing the bar, he served as a police office with the York Regional Police Service for 11 years. Justice of the peace Hunter will preside in Oshawa. Kathryn Elizabeth Kellough has worked as a staff criminal lawyer at the Legal Services Board of Nunavut since 2011, where she has represented Inuit clients in remote communities. Her previous job was as an associate criminal lawyer at Hicks Adams, LLP. Recently, she has served as president of the Nunavut branch of the Canadian Bar Association (CBA) and has been the CBA representative on the judicial advisory committee in Nunavut. Justice of the peace Kellough will preside in Toronto. Brian Wilfrid Snyder has been a member of the Cornwall Community Police Service for 39 years, most recently serving as staff sergeant. During his service, he twice received the police exemplary service award as well as the Order of Merit for police from the governor general of Canada. Justice of the peace Snyder will preside in Cornwall. Kenneth Bhattacharjee has served as vice-chair of the Human Rights Tribunal of Ontario since 2008. Before that, he was an investigation officer with the Ontario Human Rights Commission. He has also sat on the board of directors for the South Asian Legal Clinic of Ontario. Justice of the peace Bhattacharjee will preside in Toronto. Moira Jean Callahan held the title of senior legal counsel for IBM Canada Limited for over 10 years. Prior to that, she was an associate at Gowling Lafleur Henderson, LLP (now Gowling WLG). Justice of the peace Callahan will preside in Toronto. 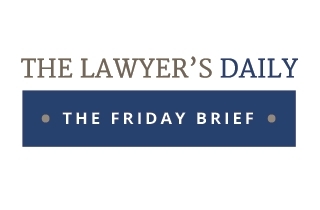 Milena Commisso has been employed by the City of Mississauga as a litigation law clerk and, most recently, as a prosecutor, where she has provided prosecution-related advice, education and training to internal and external enforcement agencies. She has been a member of the board of directors of the Prosecutors’s Association of Ontario, and was co-chair of its education committee. Justice of the peace Commisso will preside in Brampton. 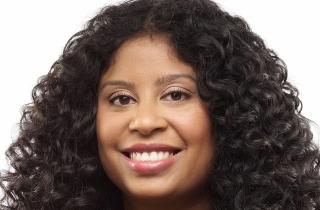 Jennifer Annette Forde is a law clerk with a certificate from the Institute of Law Clerks of Ontario. She has worked with the Law Society of Ontario for over 20 years, including serving as a discipline paralegal, which saw her prosecute conduct, capacity and licensing hearings and provide early legal and strategic advice to investigators. She has also been a trainer at Legal Aid Ontario, where she presented interactive sessions and conducted workshops on advocacy. Justice of the peace Forde will preside in Peterborough. Christine Leclair is a sub-region director for the North East Local Health Integration Network. In this position, she is required to demonstrate a high level of proficiency in French and Indigenous cultural competency. Previously, she founded Leclair Planning Consultancy, which offered strategic and systems planning, issue resolution, policy and advocacy services. Justice of the peace Leclair will preside in Timmins. Frank Leddy is a senior education specialist with the Ministry of Education and before that, he was the superintendent of education for the St. Clair Catholic District School Board and a secondary school principal. Justice of the peace Leddy will preside in London. Carolyn Anne Noordegraaf has been a federal Crown agent at the Public Prosecution Service of Canada for the past seven years. Before that, she was a duty counsel panel member for LAO. Justice of the peace Noordegraaf will preside in Barrie. Roger Domingos Pereira Rodrigues is a lawyer who spent 20 years working as a sole practitioner, with a focus on criminal, refugee and immigration cases. Since 2015, he has been a board member of the Landlord and Tenant Board. Justice of the peace Rodrigues will preside in Toronto. John Jeremy MacNair Scarfe has been a criminal defence lawyer for over 20 years. He is an advocate for LGBTQI2-S issues and for people with intellectual disabilities. Justice of the peace Scarfe will preside in Toronto. Shiree Scribner has been a parole and probation officer with the Ministry of Community Safety and Correctional Services for over 30 years. She has also been involved in safety and anti-violence organizations in the Dryden area. Justice of the peace Scribner will preside in Dryden.